This entry was posted on January 28, 2012 at 12:11 am and is filed under Gerard Oosterman. You can follow any responses to this entry through the RSS 2.0 feed. You can leave a response, or trackback from your own site. Fantastic, very interesting. Never been to Russia but my uncle went during the Communist era! Takes me back – read Alexander Solzhenitsyn in my late teens; must re-read again soon. That’s sure one express on my “Bucket List” – you have been around, ey! A day in The Life of Ivan Denisovich is probably the one you would have read. He went to live in the US but went back to his Russia for his final years. 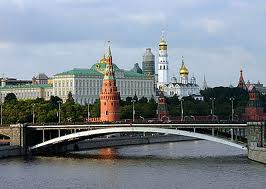 I loved my trip there, especially visiting the Hermitage and Winter Palace. Most enjoyable – you paint wonderful pictures with words too. I believe that art and architecture profoundly frame a society’s consciousness and outlook. I’m not “religious: but I love to draw cathedrals and such like…I wonder what it is that draws me to the geometry and the play of light and shade? I agree that sport has triumphed and as such leaves us poorer in our ability to understand and express ourselves. You gave a very nice Bouquet and made my day. Thank you. Great piece. We decorate the wrong heros with money and fame. Entertainment has triumphed over substance.